Furthermore, we believe that a great basement starts with an immaculate design. 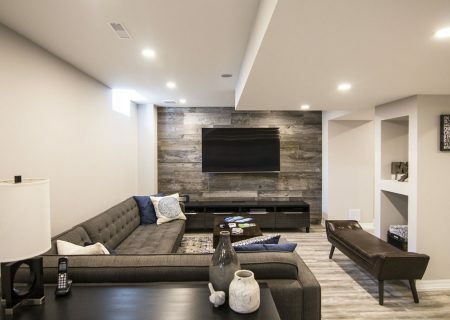 This is why our in-house designers, architects, and engineers work around the clock to ensure your basement is a work of art. On top of a perfect basement design, we guarantee your basement complies with city laws, safety regulations, and building codes. Our mission is absolute honesty and integrity. We guarantee an honest proposal, no surprises, no hidden costs, and no fine-print terms. We are proud to be the only contractor that can provide the most comprehensive design consultation available in the industry during the initial in-house visit: a detailed AutoCAD, 3D Design, and proposal with an itemized cost breakdown of the project (all included – no commitment required). 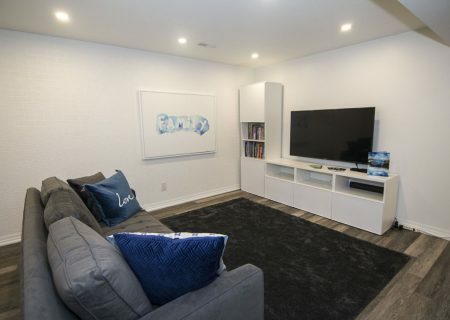 You would not buy a car without test-driving it, and renovating your basement will not just cost a few hundred dollars, it can cost thousands. For this reason, we believe everyone should be able to “test-drive” their newly designed space before buying. Our highly-skilled design team will submerge you into a perfect 3D-Model of your new basement using the most advanced VR-Technology. You have to see it to believe it! Did you hire a contractor already? Under the Consumer Protection Act (CPA), you have a 10-day “cooling-off period” to cancel any construction agreement in Ontario and get a refund for any deposit/down payment. If you have passed 10 days and feel that the contractor you hired has represented their goods or services in a false, misleading or deceptive way, you can withdraw from the contract by writing to the business within 1 year and getting a full refund. Click Here to Read More about the CPA. Request a free estimate today. 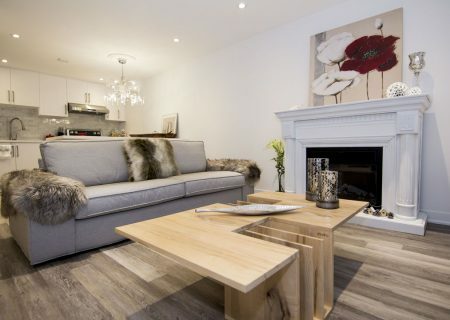 Our designers can show you why we are the right company for your basement renovation project. Harmony does not support the underground economy of renovators who avoid paying taxes and operate “fly-by-night” and “cash only” businesses. Information and education are important to us. As proud active RemoMark & BILD members, we are the first to know about changes in building codes, municipal requirements, health and safety regulations. We offer peace-of-mind! Harmony is concerned about fair and honest quotes and reliable start and finish dates. We understand that keeping the lines of communication wide open is the key to a successful job. We take care of the details, hiring us means that the details like ensuring all necessary approvals and permits are in place, we have legitimate contractor’s business licenses and a 4 million liability insurance, all our employees and sub-contractors have workers’ compensation coverage. We are just a call or email away, contact us today to begin your Harmony Basement journey. 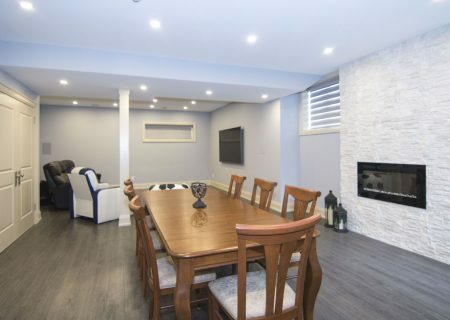 At Harmony Basements, we are dedicated to making sure everybody can afford to finish their basement, regardless of their financial situation. 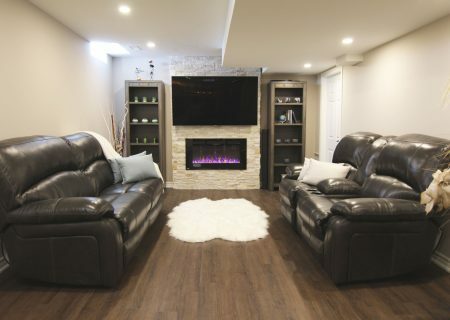 Your home is your biggest investment and finishing your basement is a smart, cost-effective way to increase its value. 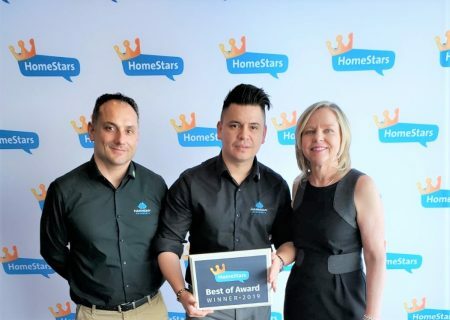 Not only do we offer great value, we also have long-standing partnerships with major banks and in-house financing that gives you flexible options, rates and terms that suit any situation.Loan approvals are quick and easy, with both secured and unsecured loan options that’ll fit your needs. 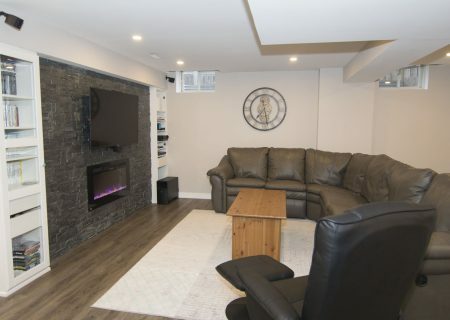 Harmony Basements have helped hundreds of clients finish their basement renovations with just under $150 per month, including no interest payment for 3, 6, 12 months OAC. We also offer open payment plans where you can pay at your own schedule without any penalties. 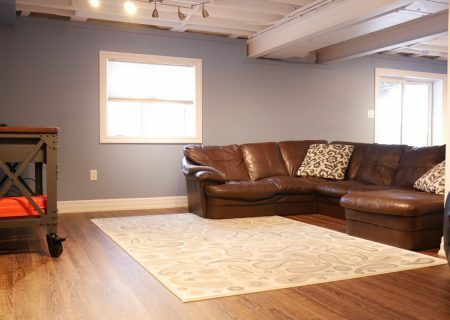 With Harmony Basements, you can now afford to build your dream basement! Your dream basement can begin to take shape at our state-of-the-art design centre. 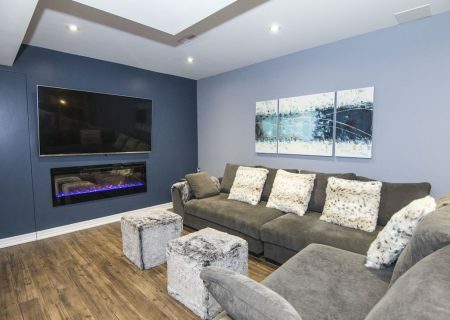 Our friendly Harmony team will show you our huge array of finishes and materials for your new basement from custom bars to stunning fireplaces or even wall-coverings. With such a wide selection of home finishing options on display, the degree of customization is limitless – you have to see it to believe it! We pride ourselves on using globally sourced cutting-edge building materials. We use mould-free, energy-efficient, fire and water-resistant products, which sets us apart from others. While conventional construction materials such as lumber, drywall and fibreglass insulation work great for above ground construction, these products can rot and cause mould in high moisture areas like basements. Instead, we use magnesium boards, as well as the latest water-resistant flooring systems. Our mould-repellent products allow moisture to pass through naturally to prevent mould from growing. Our energy-efficient products include LED Pot Lights and spray foam. We also use vinyl flooring that is water and scratch-resistant. Our knowledgeable and highly experienced design consultants, ask the right questions, listen well, think critically and propose smart and creative ideas. 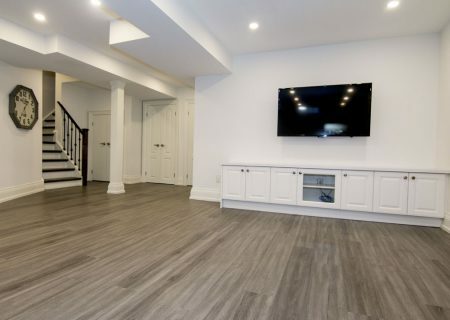 We use the latest digital software to create 3D VIRTUAL REALITY TOURS DESIGN that will help you visualize what your new finished basement will look like even before we break ground. Our project management skills are the key reason why homeowners love working with us…. Our project management skills are the key reason why homeowners love working with us. For each and every project we have a dedicated project manager in charge – from start to finish- and a foreman on-site. Builders, tradesmen, designers all seem to speak different languages; a project manager will be the one who can help you translate industry terms into something you can understand. They will simplify the process, explain what you can expect, what’s involved and eliminate any confusions you may have at every step of the building journey – it is all part of the superior client service that Harmony provides! We do not subcontract any of our work. We are fortunate to have the most experienced licensed professional integrated workforce in the construction industry, working directly for us. We have the most experienced licensed professionals on our team. Not subcontracting out work means our quality is never compromised. Our warranty on the solutions or services we provide are based on our commitment to the highest levels in building and renovations excellence. In fact, we are so confident of our products and installations that we offer our clients a lifetime warranty. We stand behind everything we do and our clients’ trust in us is something we never take for granted. And don’t worry if you need to sell your house, warranties are transferable to the new owner.